The 'Altoids Sours' BBQ Grill Is Curiously Awesome! The ‘Altoids Sours’ BBQ Grill Is Curiously Awesome! 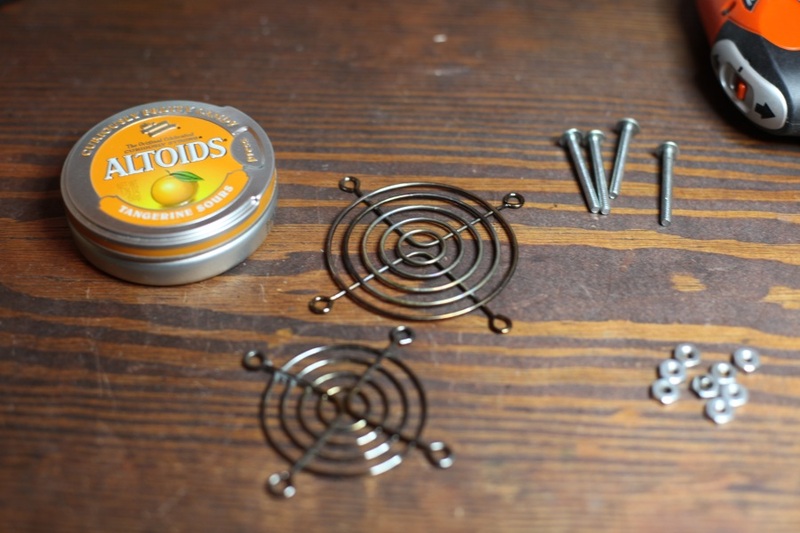 Talk about upcycling — this tiny barbeque grill is made from a single Altoids Sours tin, two salvaged computer fan guards and a handful of nuts and screws, and it’s big enough to handle a wiener or a hamburger patty! Instructables user vmspionage claims that he (or she) got the inspiration from the eBq, which employs the larger Altoids mints tin, but in the name of progress vmspionage has made that original grill look like a 1980s computer by comparison. Talk about upcycling -- this tiny barbeque grill is made from a single Altoids Sours tin, two salvaged computer fan guards and a handful of nuts and screws, and it's big enough to handle a wiener or a hamburger patty! Instructables user vmspionage claims that he (or she) got the inspiration from the eBq, which employs the larger Altoids mints tin, but in the name of progress vmspionage has made that original grill look like a 1980s computer by comparison.